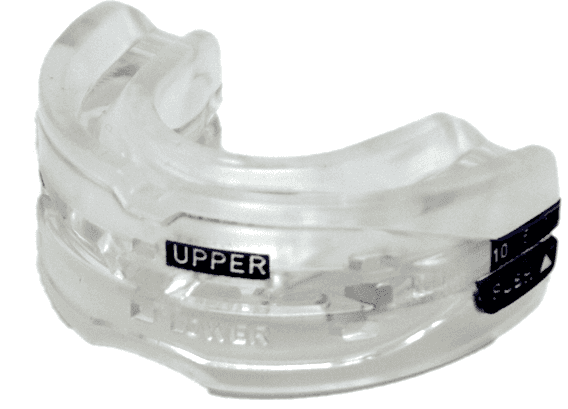 Zyppah and SnoreRX are both classified as MADs (mandibular advancement devices), though the Zyppah is really a hybrid device. In my mind, both MAD devices are good options. However SnoreRX, has the edge over Zyppah due to its calibration functionality, comfort and superior customer service. Though I did have a better experience with one of the anti snoring devices, I think that certain people may prefer one over the other based on their own preferences. I suggest you read my experience and analysis below before deciding on Zyppah vs SnoreRX. 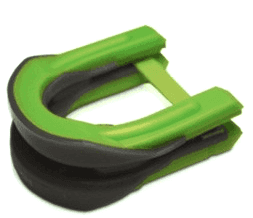 Zyppah forces the lower jaw into a forward position to reduce the risk of obstructing the airway. It is considered a hybrid, however, as it also has a TRD, though without the suction bulb on the end that most TRDs have. This stabilizes your tongue to help keep your airway open. The unit is made exclusively in the United States and has been approved by the Food and Drug Administration (FDA). I purchased my Zyppahs for my wife and me through the mail. It arrived quickly. There was no assembly required, though you have to pay careful attention to the fitting directions, as they require following each step precisely. My wife and I got a good night sleep the first night wearing the Zyppah. I awoke refreshed. My wife reported that she heard no snoring coming from me and I heard none from here. We both had slightly sore mouths but after a few days of wear, the soreness disappeared. Cleaning was easy, as it only required a cup, warm water, and a denture cleaning tablet. The sleek design did not require any additional scrubbing or removal of parts. After the two week trial, we both continued wearing our Zyppahs, as we were very satisfied with the results. The SnoreRX looks a lot different from other MADs. This is because SnoreRX incorporates more sophisticated technology than other MADs. One of the key features is the ability to fit SnoreRX to your mouth. It uses boil and bite, but also has a calibrator with six different, 1 mm apart, settings. You can use the calibrator even with the boil and bit fitting feature to further customize your fit. The fitting options were a bit overwhelming. My wife and I used the boil and bite fitting method, but then spent some time trying to get the perfect fit by using the calibrator function too. My mouth was a bit sore after the first night’s wear but my wife reported she felt fine. Each of us had a good nights’ rest. The biggest issue I had with the SnoreRX was the cleaning process, which took longer than expected. All the nooks and crannies required more attention than just dropping it in a glass of warm water and adding a cleaning tablet. The second night I adjusted my SnoreRX slightly using the calibrators. This made a big difference as the next day my mouth was not sore at all. My wife and I both agree that the SnoreRX, despite its rather bulky appearance, is very comfortable to wear. Note: Ordering two provides a substantial discount. The $99 price drops to $77 each, plus the $10 shipping. Both devices are comfortable to wear and function as designed. However, SnoreRx comes out ahead for several reasons. The newest version of the SnoreRx device is super comfortable for me and definitely puts a stop to my snoring because of the precise calibration ability. Zyppah and SnoreRx both require cleaning and I suggest denture tablets and/or see my review on the iSonic Cleaner. If you are only buying one for yourself, the Zyppah’s price (use a coupon), and free shipping, makes it a better bargain. Update: Zyppah has increased their price to 99.95. Purchasing 2 from SnoreRx is the better deal.